St Mary Magdalene´s Parish is situated approximately one mile from Portobello on the east side of Edinburgh. It was established fifty-three years ago when new houses were built in the area. It was in 1948 that the Local Council built a housing scheme in the area known as Bingham and then continued eastwards across Niddrie Road (presently called Duddingston Park South) to build another housing scheme called the Magdalene scheme. This scheme was named after the burn which in turn derived its name from a medieval chapel of St. Magdalen which stood 200 yards east of the mouth of the burn. This burn was variously known as Magdalen or Maidland Water. The early spellings, Maidland(s) in 1448, Medlen in 1661 or Maitland all reflect the medieval pronunciation maudlin, and the third of them may have been influenced by (or confused with) the name of the Maitlands of Thirlestane, who owned nearby Brunstane from 1597 to 1696. The Magdalene Brig is noted in the Town Council Minutes 1557 as decayed to the point of falling down. The ground west of the brig is notable as one of the oldest inhabited sites in Edinburgh since a cemetery of the Food Vessel folk had been found here in 1881. This area was also the site of salt pans belonging to Kelso Abbey in the middle ages, and of a variety of manufactures in later centuries. The housing scheme built on Easter Duddingston ground a mile upstream from the old settlement was named in 1956 as Magdalene Avenue, Drive, Gardens, Medway and Place, and in 1975 Magdalene Court was added to the group. Both the Bingham and the Magdalene schemes fell within the parish of St. John the Evangelist,Portobello and remained so until 1961. In September of that year it was announced from the pulpit of St John's that a new parish was to be formed from the part of the parish lying south of the Milton Road and north of the freight railway line on the northern side of St. Teresa's Craigmillar. The new parish would embrace both housing schemes and a considerable number of bungalows built before the war. This new parish had no name, no church, no presbytery but it did have a priest Rev. Father Lawrence A. Glancey, Ph.L, who was to reside in St. John's until a house could be found. Until further notice parishioners would still attend St. John´s. It is almost five years since we, as a parish, realised that life was about to change. Our much loved Parish Priest, Father Tom Hennessy, was beginning to find that failing health was making it difficult for him to continue. 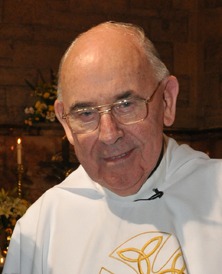 The Archbishop decided that Fr Hennessy, after over 20 years of dedicated service to all his parishioners in St Mary Magdalene´s as well (as many more years in the Diocese) could live a more restful existence as a resident Chaplain of St Josep´'s Home in Gilmore place. As an quiet man who lived simply this arrangement suited him very well. But he would be sorely missed here where he visited his flock regularly especially in times of illness or bereavement. As there is a shortage of priests all over the country it was doubtful if St Mary Magdalene´s would have a resident priest. After worry and uncertainty we could not believe our luck. We were to have a new resident priest. In 2011 Fr Tabone a priest of the diocese who had been on compassionate leave for a few years was now coming back from his native Malta and had been appointed as our Parish Priest. We could never have hoped for such a good choice. There then followed two very happy years for the parish, and Father Tabone tells us he was happy here too. His kindness and sense of humour made us all smile. His relationship with the children was great and Sunday Masses, when he welcomed the children back from the Childrenás Liturgy group, was always something to look forward to. The children loved him. We are very grateful to Father Tabone for the love and contentment he brought to our parish. However his time as our Parish Priest was much shorter than any of us would have wished. 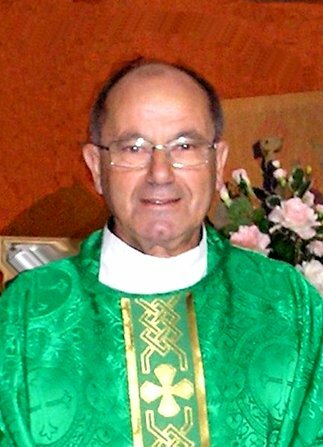 In 2013 it was announced that , Monsignor Rae, the Parish Priest of our neighbouring parish, St John the Evangelist, Porrtobello, was to retire for health reasons. Father Tabone then announced that the time had come for him to retire and return to his home and family in Malta. We were pleased for Father Tabone and , of course, wished him a long and happy retirement. Again we worried about the future of St Mary Magdalene´s. Fortunately it was decided that both St Mary Magdalene´s and St John´s would remain as two parishes and would share the one priest, Father Jock Dalrymple. Obviously this new arrangement was about to bring dramatic changes to our parish. In 2013. Monsignor Rae, Parish Priest of, St John the Evangelist in Portobello was ready to retire because of ill-heath and no other priest was available. 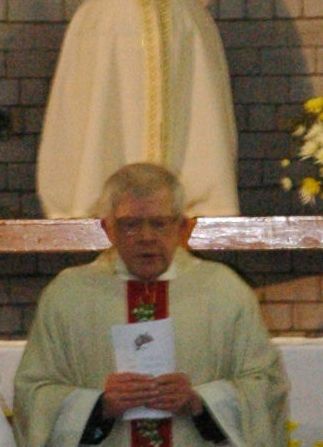 Like Father Hennessy, Monsignor Rae had served for many years in the diocese and since 1983 had been Parish Priest of St John the Evangelist in Portobello. The solution was for St Mary Magdalene´s and St John´s to share a priest. 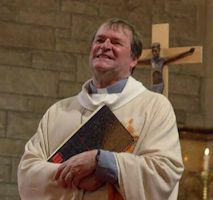 This new priest was Father Jock Dalrymple. It was decided, at diocesan level, that our parish house, in Milton Crescent should be sold to the Diocese, renovated,and become Monsignor Rae´s home when he left St John´s parish house in Sandford Gardens. The new parish priest for the two parishes would then live in Sandford Gardens. This made sense as St John´s is the larger parish and so it would be better for the priest to live there At this time,too, Father Tabone decided that the time had come for him to retire and return to his native Malta and his family. This was the right decision for him but a sad one for Edinburgh. In September 2013 it was announced that Fr Jock Dalrymple was to be our new (shared) priest and would take up his new charge in December. Father Tabone kindly agreed to act as PP for the two parishes until Father Jock was able to take over. In December of that year we warmly welcomed Fr Jock Dalrymple as our priest. Many things, of necessity, had to change as one priest now served two parishes. Mass times on Sunday and the main services for Easter and Christmas - were just a few obvious changes which had to be made. There were other, less obvious, changes. How were finances divided?. How much did St Mary Magdalene's contribute to the overall cost of the parishes? Other smaller changes too took place and they are too numerous to list here but Father Jock is a caring, hardworking person trying to care for two parishes and, as our parishes are so different from one another this is no easy task. Now two and a half years later we are settled in a routine. It has not always been easy for any of us. Sharing a priest is different from having one full time. We, in St Mary Magdalene's worry that Father Jock has too much to do. He sometimes looks very tired. Perhaps, as time goes by he will feel able to delegate more and so lighten his load. In the meantime we are blessed with having a priest and a parish. V. Rev Lawrence Canon Glancey PhLM.A. Most of the information came from Parish Records. My gratitude to the Parish Priests who kept such accurate accounts of the history and development of this Parish.